Can Apple and Facebook Make Their Products Less Addictive? Two major shareholders of Apple are publicly urging the tech giant to help curb smartphone addiction in young people. In an open letter, the shareholders cite research into potential consequences for young people, including increased risk of sleep deprivation, poor socialization, depression and suicide. But critics question whether that move will make the social media platform more addictive. 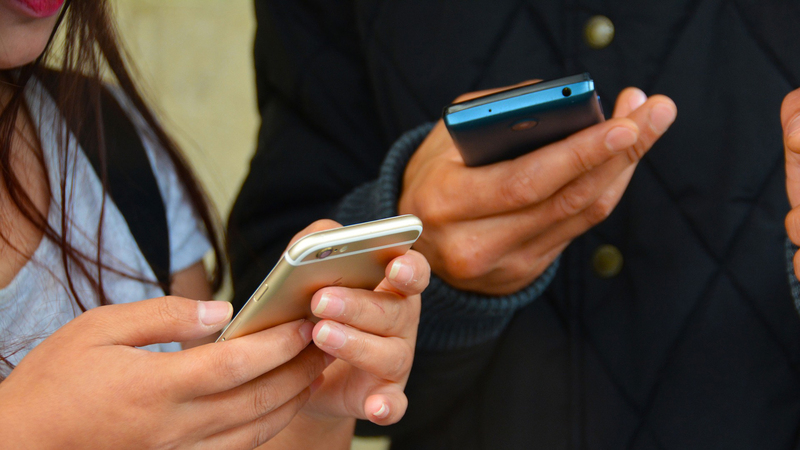 While it’s commonplace to hear the internet and smartphones described as addictive, it’s not necessarily medically accurate to use the term – though Dr. Danesh Alam, a psychiatrist and addiction specialist with Northwestern Medicine, says that could change. “There is a developing consensus that there may really be a syndrome. It’s not currently recognized by the scientific community, but I think there is a consensus that’s developing,” Alam said. Currently recognized addictions work on the brain’s reward centers. Alam says it’s widely understood that the earlier a person is exposed to something addictive, the more severe their addiction is likely to be. And in his work as a psychiatrist, conflict between young people and their parents over cellphones has become pronounced. Alam describes the brain’s pathways as dynamic – meaning that if internet addiction is possible, so too is recovery. But he also supports the idea of companies like Apple and Facebook taking steps to curb the potential for young people to get hooked. “I think … the technology folks and folks in medicine can probably come together and come up with not only behavior recommendations, but also change some aspects of how technology is delivered,” Alam said. Alam joins Chicago Tonight for a conversation. Nov. 7: While it may have seemed taboo 15 or 20 years ago, online dating is now a courtship commonplace. We explore the growing prominence of dating in the digital world. Sept. 1: In addition to luscious food pics and contoured abs, users of the popular photo-sharing app can find a bevy of advertisements for plastic surgery. But a new study finds that many providers are not board-certified plastic surgeons. And that, they say, is an issue. Sept. 8, 2016: Technology is creating challenges for today's parents. A local author has advice for how parents can plug into the changing world of social media, apps and the online world.